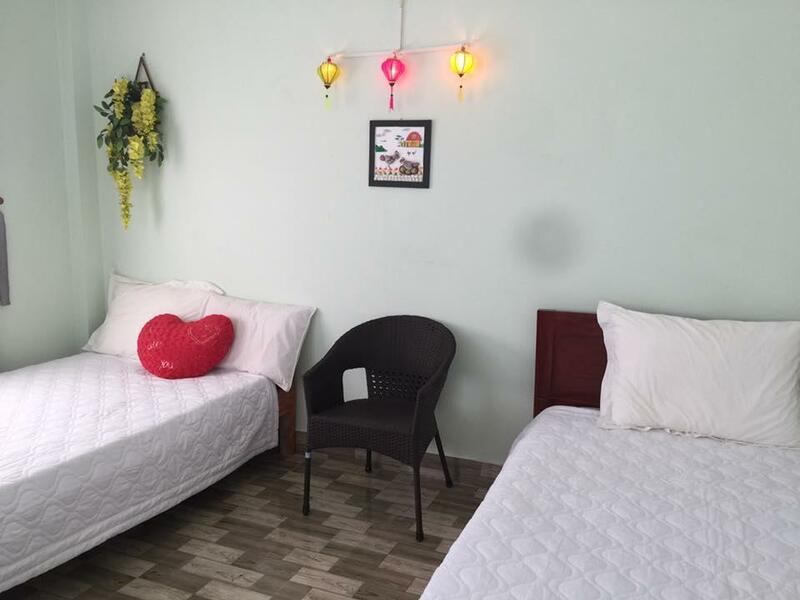 Το Lucky Bee Homestay είναι μια πολύ καλή επιλογή για τη διαμονή σας σε Ντα Νανγκ, είτε είστε τουρίστας είτε επαγγελματίας. Από εδώ, οι επισκέπτες μπορούν να έχουν άμεση πρόσβαση σε όλα όσα η πόλη έχει να προσφέρει. Με την βολική του τοποθεσία, το ξενοδοχείο προσφέρει εύκολη πρόσβαση στους προορισμούς της πόλης που πρέπει οπωσδήποτε να δείτε. Οι εγκαταστάσεις και οι υπηρεσίες που παρέχει το Lucky Bee Homestay διασφαλίζουν την ευχάριστη διαμονή των πελατών. Τα 24ωρη υπηρεσία δωματίου, δωρεάν WiFi σε όλα τα δωμάτια, 24ωρη φύλαξη, ημερήσιος καθαρισμός, τζάκι είναι μόνο λίγες από τις εγκαταστάσεις που κάνουν το Lucky Bee Homestay να ξεχωρίζει από τα άλλα ξενοδοχεία στην πόλη. Όλα τα καταλύματα διαθέτουν τις απαραίτητες ανέσεις για να εξασφαλιστεί μια ασυναγώνιστη αίσθηση απόλαυσης. Είτε είσαστε λάτρης της γυμναστικής είτε ψάχνετε έναν τρόπο να ηρεμήσετε μετά από μια δύσκολη μέρα, θα σας ψυχαγωγήσουν καταπληκτικές δραστηριότητες όπως οι βελάκια, ιδιωτική παραλία, μασάζ, μπιλιάρδο, καραόκε. Με την ιδανική του τοποθεσία και τις καταπληκτικές του υπηρεσίες, το Lucky Bee Homestay θα σας ευχαριστήσει σε πολλά πράγματα. It is in the middle of nowhere. Anything nearby, no restaurants, no ATM, no transport. I was moved to a different hostel just next to it without any explanation. Staff speak no English, not a single word. My room was infested of flies and mosquitoes and far of being clean. Bad experience. It is very cheap for a reason. I have no words to describe over experience in that homestay. Everybody is so open minded and so helpful. Manager Sergiy gave us a lot of tips where to go and what to do (he know really a lot of places ) so if you will stay in that homestay ( you should stay here!!) ask him where to go and he will organize for you the best trip ever ! Nga (owner) she is awesome. So open minded, funny ,all the time creating jokes. U will newer be bored in that homestay 1000%. We chat a lot, had crazy party. For now really miss that place. That experience will be forever in our minds. Our room was so HUGE. Everything super clean. Thank you so much. Hope to see u soon guys ! 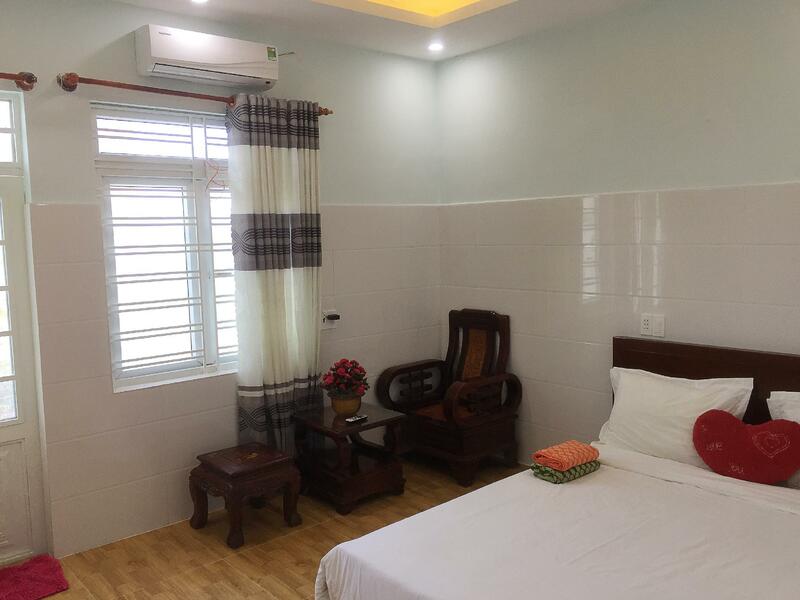 Hello Paul, Thank you so much for your lovely review and we are so happy that we could bring you joy and good authentic information in Da Nang City If you ever head back Da Nang please come visit and stay with us again! Looking forward to seeing you again soon and wish you a lovely travel Best Regards. Ms Nga. Hello I totally disappointment with your review.First words that I told you it was "Sorry for that situation" I arrange for you taxi at night, driver told me that he wait for you around 20 min. I answered on all your questions. Gave you all advises whatever you ask and you told me that everything is okay. 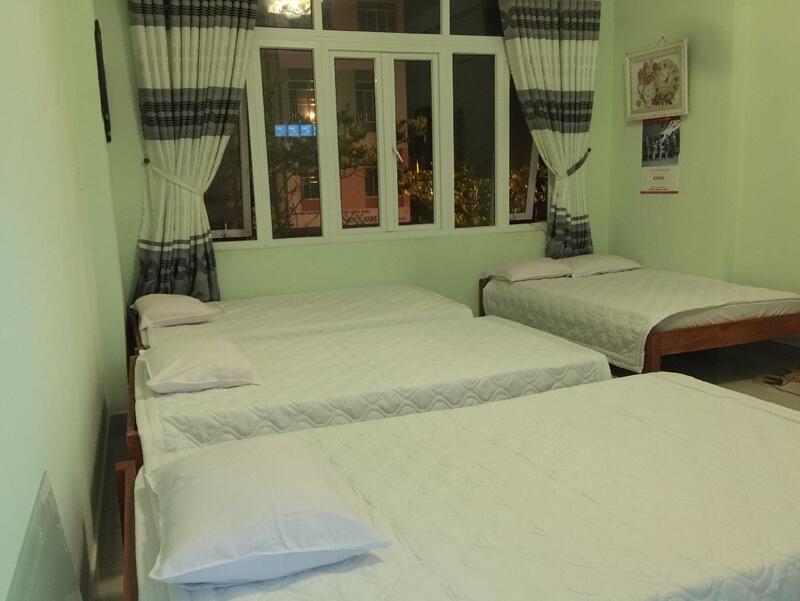 Also we gave you as like apologizes the best room that we have in all homestay. Anyway sorry about everything. We trying to do our best. Nice room, great staff, bit out of the way - definitely need a bike. 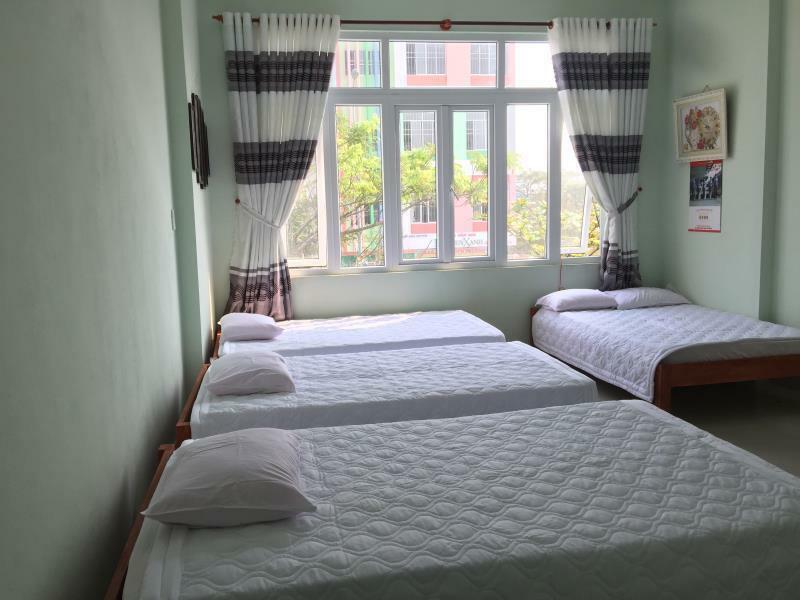 Pros: great staff, away from city, few to no tourist in area, near gym, hostel rents motorbikes. Con's: weak WiFi reception in room, surrounding stores/restaurants close by 10 pm. Really enjoyed my stay, can’t fault the place! 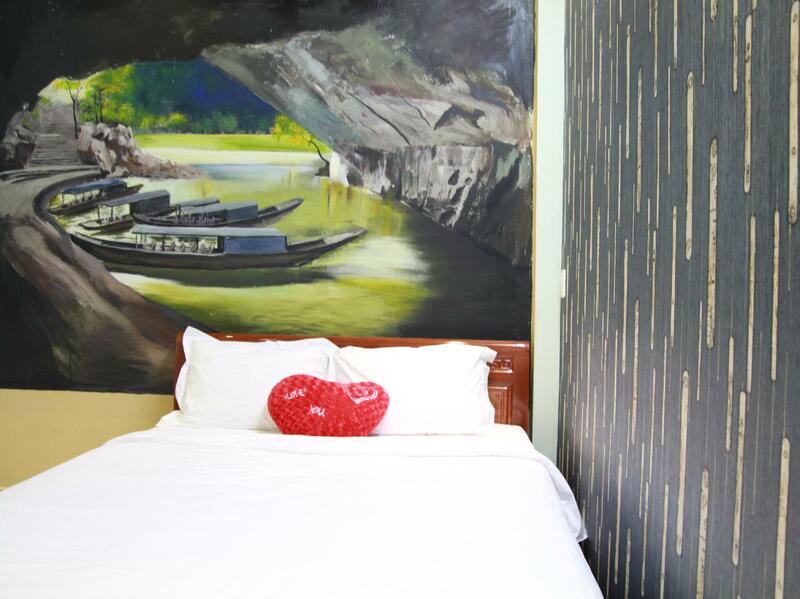 The cheapest place I’ve stayed in Vietnam and easy one of the best! The staff is great, speaks good English and pointed us to all kinds of good advice from what car to book to what food to eat. We felt warmly welcomed. Would return to this same hostel if I come again! Great place, Nga was so accommodating, helpful and fun. 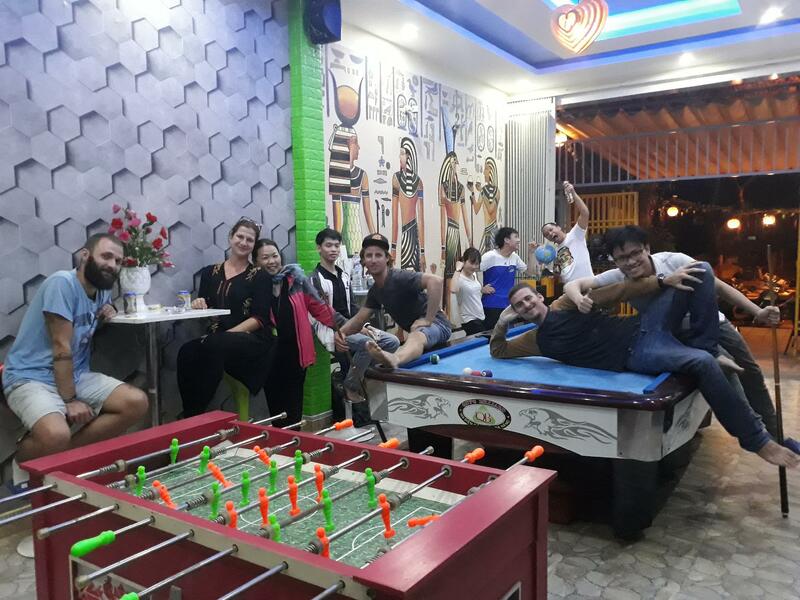 Lucky Bee is the place to stay if you love to socialise, have a laugh and chill out. 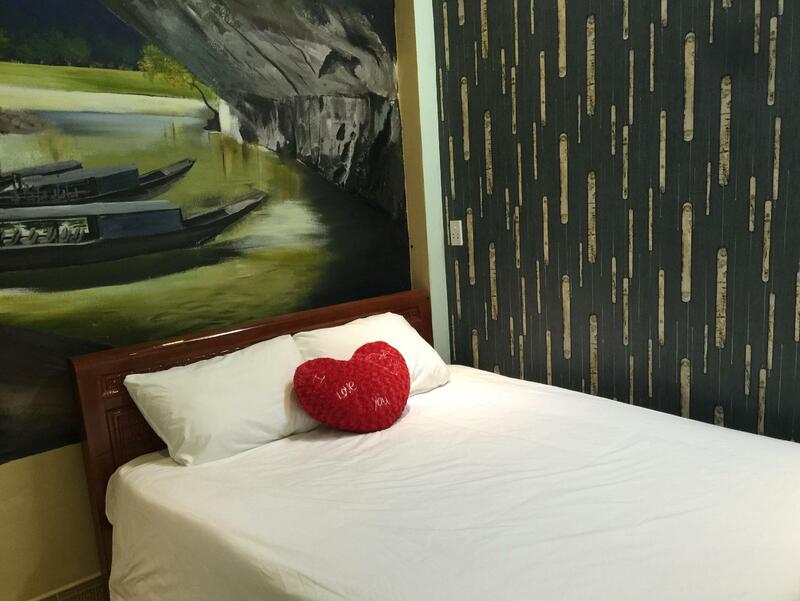 The rooms are all fully equipped and comfortable. Come stay here if you're an open minded fun loving person, you won't regret it. Nguyen and her staff were super friendly and helpful. We only had one night here. Room was massive. There was construction next door but who cares. 5 Mins walk to the beach and some beautiful restaurants around the corner. Had a lovely stay at this homestay. The room was very nice and clean, although it did not have a window. Also, the shower/bathroom was seperate from the room. The location is a bit far away from the main part of town, so having a bike is recommended if you stay here. The manager is a lovely young woman who can shoe you were to go and will invite you to hang out with her and her friends. Every staff member here is super happy! The other reviews don't lie! From the moment we arrived til the moment we left, they always had a smile on their faces and made us feel very welcoming! A very cool place in an awesome little city! Everyone is friendly, and you always feel you are welcomed there. Staff are chilled but welcoming, so fun to hang with. Moon cooked vegetarian food for and dinner was the best meal I've eaten in In Vietnam. I would highly recommend eating here instead of elsewhere. The beach and public transport were easy to navigate as well for those who don't ride bikes. Lucky bee has such a good vibe and service that even with if the weather is bad you get into good mood. Ask for restaurant recommendations, they know the best places! I would recommend this place and I would stay there again. we had such a lovely stay here! upon arrival Nga and moon gave us the most welcoming greeting. the room was really nice, clean and cosy. Nga gave us lots of tips where to go and tips for around vietnam too. moon cooked us lovely food each night. I really felt welcome here and would highly recommend anyone to go! I will definitely go back again! the only downside is the location but we just rented a scooter so explore so it wasn't that much of an issue!